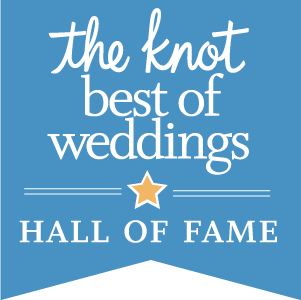 We are pleased to announce that The Harpeth Trio has been selected as a 2019 ­­winner in The Knot Best of Weddings, an award representing the highest-rated wedding professionals as reviewed by real couples, their families and wedding guests on The Knot, the #1 wedding resource. This is the fifth year The Harpeth Trio has been selected for The Knot Best of Weddings. They were the absolute best! So professional! There pricing is really great and they were so helpful with music selection. I would recommend them for any event but especially a wedding. I planned everything and while my wedding was a small intimate day, they helped me create a beautiful special time for me and my family and friends. I am so glad that I chose the Harpeth Trio for our wedding music! The strings added so much to the ambience and beauty of our wedding. They arrived in plenty of time and followed through on every expectation I had for this special day. They even found the sheet music and quickly learned a new song I requested for a very nominal fee. I would definitely recommend the Harpeth Trio to anyone wanting to add something special to any event! My dream was always to have a string trio at my wedding and the Harpeth Trio made that dream come true! The only song that I knew that I wanted was Canon in D and they made selecting the rest of the music so easy. We received many compliments on the beautiful music during the ceremony and cocktail hour. I knew I wanted live music at my ceremony and after listening to the stunning music of the Harpeth Trio, I found my match. The trio was just what I wanted: classy, romantic, and beautiful! It made my ceremony so memorable, and I couldn’t be happier. I also had them play at my reception, for which they included pop pieces and other classics. Everyone commented how beautiful and unique it was! Thank you Harpeth Trio! As parents of the bride, there are many important choices to be made to make your daughter’s wedding memorable. A most important and memorable element of the wedding ceremony to me is the music. Many recent weddings I have attended had utilized recorded music. And while functional, it just lacked the beauty and grace of a live performance. The Harpeth Trio met and exceeded all our expectations. They were so wonderfully talented and professional in all aspects of our relationship. They stayed in touch during the months leading up to the wedding, helping us in song selections and processional planning. The song selections queued beautifully with the ceremony, including having “Unchained Melody” softly played during the Unity Cross ceremony. All our guests were enthralled with their beautiful music – it was so moving and added so much to an already beautiful ceremony. We will never forget it. Thank you – you truly contributed unforgettable memories to our daughter’s special day. The Harpeth Trio played for my daughters wedding and the cocktail hour at the reception. This was held on May 2nd. This is the second time I have used them and each time I found them to be professional. They sound great and I believe are well worth the money for this type of event. They helped us with the music selections and their website that contains all of the music selections to listen to was very helpful. I would highly recommend them! We hired Harpeth Trio for our wedding and had a great experience with them. They’re easy to work with and know exactly what to do. They are very talented musicians with a wide variety of options, so whatever you need as far as music goes, they can handle it. They did a great job with our ceremony and cocktail hour. Showed up early, were ready to go when we were, and handled all the little details to make everything painless. I would absolutely hire them again and recommend to our friends. The Harpeth Trio gave our wedding ceremony such a classic and timeless vibe. Instead of the usual organ, piano or guitar, my wife and I wanted the music to be both beautiful, unique and personal. When I heard The Harpeth Trio’s performance of Pachelbel’s Cannon in D, and saw my new bride coming down the isle, I couldn’t help but cry. It was beautiful! I have worked with The Harpeth Trio several times over the past few years. They are always fast at responding my emails and play beautifully at the weddings! I’m looking forward to many more weddings with them! The Harpeth Trio was absolutely amazing. They were very accommodating and learned new songs per the bride’s request in a very quick turnaround time. I received several compliments from guests on the Trio’s performance. I will most certainly use them for future wedding planning and other events. They all were very personable and a pleasant group to work with! We used The Harpeth Trio for a fundraising event for our school. They were very professional, responded quickly, showed up on time, and their performance was beautiful. We would be happy to have them at any event we sponsor! Thank you to Nathan Vogel Photography for the wonderful pictures of the Harpeth Trio.